Hair Care Products for Thinning Hair | Valet. Thin or Thinning Hair? Try These. Do you find yourself examining your hairline in the mirror? Are you finding more strands among the suds when you shampoo? Or maybe you just feel like your hair is a little less full (and a little more limp) than it used to be. 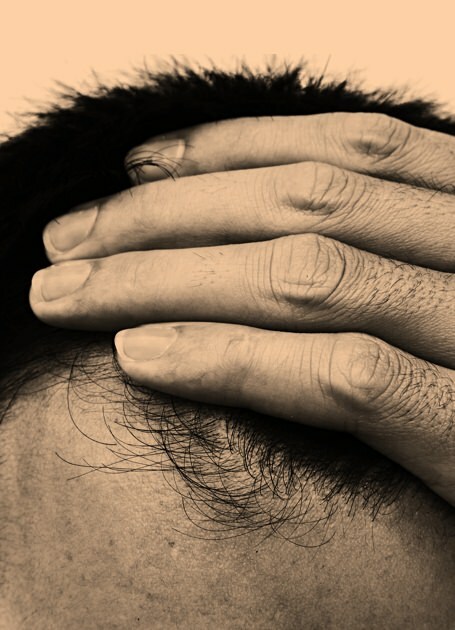 Whatever your motivation, know that you're not alone—66% of men will experience some degree of hair loss by the age of 35, according to American Hair Loss Association. And we're here to give you a game plan. Because no matter your age or ethnicity, there's plenty you can do to strengthen and style you hair for a fuller look or even repopulate your scalp with new hair. The reasons for hair loss seem infinite. And while managing your stress, getting proper sleep and leading a healthy lifestyle (i.e. no smoking) certainly help keep your mane in top condition, some things are simply out of your control. And no, we're not talking about the myth that if your mom's father was bald, you will be too. The biggest culprit is a hormone called Dihydrotestosterone (DHT), a derivative of testosterone, according to Joshua Zeichner, Director of Clinical Research in Dermatology at Mount Sinai Hospital. "If you have a sensitivity to this hormone, certain follicles miniaturize—meaning the hair gets thinner and shorter, because the growing cycle doesn't last as long," he says. "In some cases, the growing cycle becomes so brief that new hairs don't even poke through the skin." This daily pill (aka Finasteride, its generic name) was originally developed to treat enlarged prostates but was found to prevent testosterone from converting into DHT, thus stopping hair loss and allowing hair to regrow. Like any prescription drug, there are possible side effects. 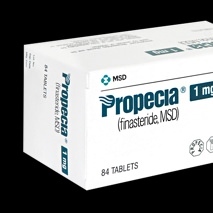 Propecia can cause mental confusion and impotence in rare cases—though most guys see no negative side effects at all. 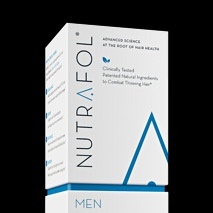 In studies, over 80 percent of men taking Finasteride 1mg preserved their original hair follicle counts and 64 percent experienced some regrowth after two years of continued use. 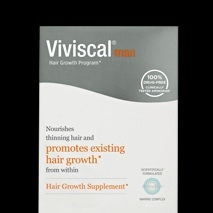 A natural alternative to Propecia, this patented supplement aims to target the multiple causes of hair loss, from stress and hormones to genetics and DHT. The clinically-tested nutraceutical (a naturally-derived product with medicinal benefits) has been shown to increase hair growth and provide fuller hair without any undesirable side effects. This strand strengthening supplement slows hair loss and is a mainstay for models and actors who've told us that the twice-daily pills are what keeps their hair thick and healthy despite the constant tugging and styling. 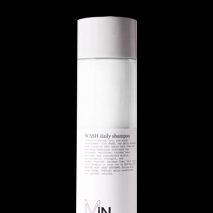 This luxurious paraben and sulfate-free daily shampoo is specially formulated to inhibit DHT and it delivers essential nutrients directly to the hair such as saw palmetto, which helps strengthen the follicles and help prevent shedding. Don't be afraid to touch your hair. The truth is that those with thin hair need to wash it every day to exfoliate and energize the scalp. This gets the blood flowing there and helps nourish existing hair follicles. 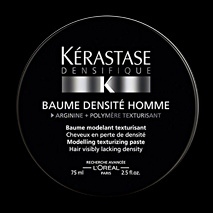 This workable paste is specifically formulated to stimulate hair and follicles with amino acids. 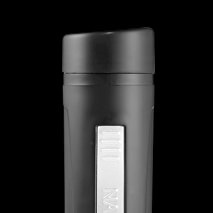 It offers a matte, non-sticky hold while high-tech polymers make individual hairs appear thicker. An effective fix that's been proven to instantly thicken hair with just one application, this spray gets applied before you style your hair. An extra layer of particulates (aka microscopic liquid matter) is deposited into the hair, expanding the strands from root to end. If you're looking for a quick fix or a way to hide a few thin patches, try shaking on some thickening fibers. This one, by Nanogen, is the best reviewed and comes in ten shades that easily blend into your natural hair color. The cosmetic camouflage is charged with static electricity (so they bond to each hair instead of your scalp) which also makes the fibers resistant to strong wind and such wet conditions as rain and even swimming. According to New York hairstylist Garrett Bryant, you don't want to let hair get too long on the sides and back, where it's naturally fullest. Instead, look at where your hair is the thinnest—typically on the top—and leave your hair a little longer there. Shorter sides should fade into longer hair on top. Never style your hair wet—you want it almost fully dry to get as much volume as possible. Use a blow dryer and use your fingers to rough it up and give your hair some extra fullness and movement. 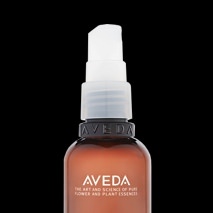 Finally, add some product with a matte finish to the hair and finish with a light mist of hairspray to lock in the style.